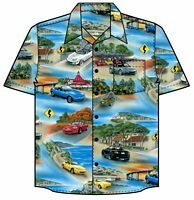 We've long envied the Corvette, Mustang, Hot Rod & Classic Car bunch for their ability to proudly wear their car affiliations on their sleeve (literally) in the form of colorful Hawaiian style shirts. We looked everywhere but were unable to find a single one featuring Miatas. So, after a lengthy search, and a lot of design work, we've developed a true classic, high quality Hawaiian shirt featuring all three generations of Miata/MX-5 (NA's, NB's & NC's are all represented). Check the Shirts page for details and ordering information. Our popular replacement Voodoo brake handle grips are now available in two new finishes; Textured, and Piano Black. 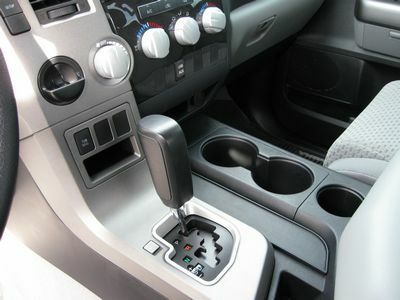 Check them out on the Team Voodoo shift knob page. We've also added Voodoo Packages; Voodoo knobs & Voodoo Grips in matched sets. Buy them as a set and save 20%! Our popular prancing rooster makes his debut as a stand-alone emblem. Attached with a special automotive adhesive foam tape , your Voodoo emblem can be attached pretty much anywhere; hood, fenders, grill, bumper cover. Or on your laptop, breifcase, suitcase, etc. Emblem is 3 inches high by ~ 2 inches wide. Two styles now available; all chrome & chrome with red edge. New compact ONE-PIECE air horns. Don't let the diminutive size (4 inches x 4 inches) fool you, these are the loudest horns on the market (139 db). Only 5" x 4" x 3" complete. Compressor and horns are all packaged together in one tidy unit. Want to hear what it sounds like? Follow this link. For more information about this unique Air Horn please visit our Air Horn page. 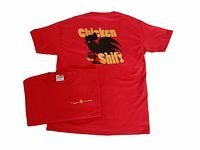 Check-out our Shirts page for 3 different versions of our Team Voodoo T-Shirts. Do you like the look of those fancy big brake kits on Ferrari's, Porsche's, etc.? Maybe you've considered just painting your calipers, but haven't found the time to hassle with it. That's an all day job - at least! Well now there's a better answer. Now you can have the look of those fancy big brake kits, without the expense or work. Voodoo Caliper Covers are here and available for all 4 generations of Miatae (15 inch or larger wheels only). Installation is a piece of cake. For more details go to our Caliper Cover page. Thompson Automotive's folding license plate brackets for First & Second Generation (NA's & NB's). Since acquiring all remaining inventory of these original design brackets in 2008, we've been working to re-design and improve on the original concept. The new design is lighter, more durable and (good news for NB owners) more easily adaptable to NB cars*. The stock bracket mounts the plate above the grill opening, and positions the plate in just the right spot so that when someone even taps your bumper in a parking manuver you are left with a couple of unsightly dimples in your bumper. The Thompson Automotive bracket solves this problem by mounting the plate in the grill opening. But it will block the air flow to my radiator you say. Not! The plate is hinged so that it rotates up out of the way at about 25 MPH. Very cool! Your license plate seems to dissappear when you are moving, and re-appears when you stop. Check it out on the Disappearing plate mount page. * New design for NB cars is now available. 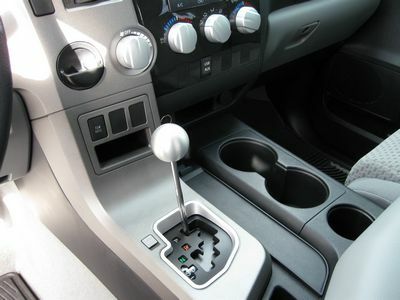 Now owners of NC's (2006+ MX-5's) with automatic trannys can also enjoy the advantages of a genuine Voodoo competition shift knob. Initially available in Piano Black and Spun finish and priced the same as our standard shift Magnum Voodoo knob, these beauties will dress-up your interior, provide improved shorter-throw shifting (when using the tap-shift capability of the transmission), and of course add some Voodoo to your ride. Looks a lot like a Ferrari shifter don't you think? Want to order now? click here to go to the order page.